Oral health is not just about your teeth, your gums play a very important role in your dental health too. More than 50 per cent of Australians over the age of 65 years have gum disease or periodontitis, the term used to describe disease within the gums and bone that hold teeth in the jaw. According to Colgate: “The bacteria in plaque is the main cause of periodontal disease. But several other factors also can contribute. They include other diseases, medicines and oral habits. These factors can increase your risk of gum disease or make it worse once the infection has set in”. At Myers Street Dental Clinic, Geelong, we have a three-step process to treating periodontal disease. We start with a diagnosis of your condition, then we treat it and then we maintain it so you can get back to living your best life. Diagnosis: Periodontal disease is caused by the accumulation of plaque bacteria at the gums, which triggers inflammation that results in the loss of gum and bone attachment to the teeth. With less gum and bone attachment, the gums recede, bleeding occurs and teeth may become mobile. Abscesses can also form and, ultimately, it can lead to premature loss of teeth. Treatment: As general dental practitioners, we assess the health of the gums during each dental examination. If any sign of periodontal disease is detected, we will then make the assessment as to whether we can resolve this issue with careful cleaning and removal of the plaque and tartar that causes the condition. Our Oral Health Therapists are specially trained and skilled at thoroughly removing the nasty plaque and tartar that causes gum disease. 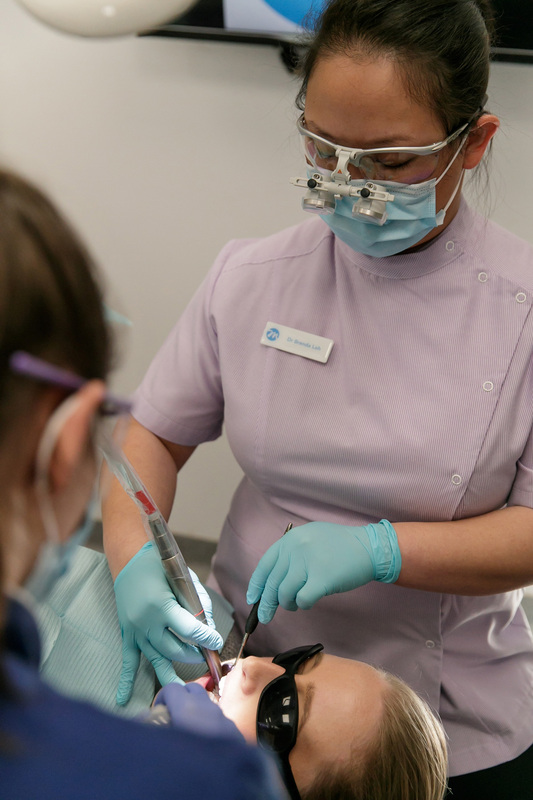 If the condition cannot be managed and stabilised by conventional treatments at Myers Street Dental Clinic, then we may refer complex cases to a periodontist (gum specialist) for treatment. Maintenance: Once the active disease is treated and the gums are back to being healthy, it is important work at keeping things healthy. We call this “Active Maintenance” – meaning that things don’t stay health and good unless you actively do something to keep it that way. Your dentist and oral health therapist will suggest an appropriate interval for you to have your check and cleaning done so that the active gum disease does not resume. FAST FACT: It was in 1866 that Lucy Beaman Hobbs became the very first licenced female dentist.